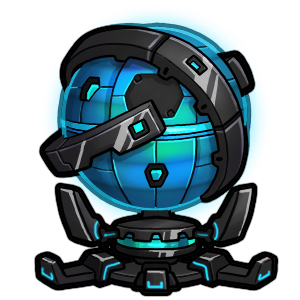 Until now, there have been only two types of unlockable content in Prismata: badges—given to our crowdfunding supporters, ambassadors, and tourney winners—and equippable emotes, the tool of choice for congratulating (or BMing) your opponent after a game. However, we’ll soon be massively expanding the availability of unlockable (and collectible!) items in Prismata. Today, I’m going to outline some of our plans. Details on each of these are provided below. As usual, none of our plans are completely final, but we’d love to hear your feedback on what we have in mind! 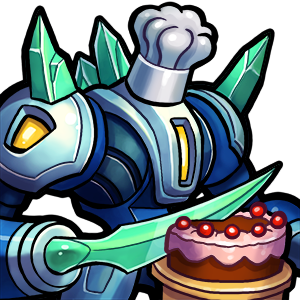 Continuing from where we left off last time, we’re going to talk about one of my favourite Prismata topics—rush timings. Every Prismata player has been in a situation where they’ve been caught off guard and lost to their opponent’s early Redeemer, Shadowfangs, or Tia Thurnax. But when do these rushes work, when do they fail, and how do we modify our unit designs to ensure that that they don’t lead to autowins? Sick of fighting, this Redeemer took up a new career. The answer is a bit complex, and requires a deep understanding of when rushes themselves are strongest. Get ready for a somewhat theoretical (but fun) discussion! Welcome David! Thanks for making Prismata run 7x faster! Here’s how he did it. This is a bit of a cop-out of a blog article, because I’m ridiculously sleep-deprived and have been way too busy over the last few days to do a satisfactory job with part 3 of the “Balancing Prismata Openings Through Unit Design” series. So it will have to go up a little later. In any case, today’s article will focus on some of the amazing work that one of our devs has been doing to improve Prismata’s performance.